Toyota Yaris / SE+ / HATCHBACK / 1.5L / GCC / 2016 / DEALER WARRANTY : 2021 / FSH! / ONLY 601 DHS MONTHLY!! 2016 Toyota Yaris with phone set, performance kit (tuned), air conditioning. It has white interior and is Grey/Silver. Automatic, 14 inch wheels, bluetooth system, parking sensor rear, beige interior, grey/silver exterior. Toyota Yaris white hatchback, grey on the inside with tuner/radio and ABS. 14″ wheels. 2015 Toyota Yaris white hatchback, grey on the inside with tuner/radio and air conditioning. 14″ wheels. Orange 2016 4 cylinder hatchback. Beige interior. It has CD player and airbags (front and side). Automatic 2016 Toyota Yaris with 14 inch wheels, rear wheel drive, power windows, grey interior, white exterior. GCC spec. Automatic Toyota Yaris with 14 inch wheels, CD player, airbags (front and side), white on the outside, grey interior. White 2016 sedan for AED 32,900. Grey interior. It features air conditioning, 14 inch wheels and analog clock. GCC spec grey/silver hatchback, beige interior with ABS, AUX audio in and a 4 cylinder engine. Automatic 2016 Toyota Yaris with 17 inch wheels, power locks, airbags (front and side), beige interior, white exterior. Automatic Toyota Yaris with 16 inch wheels, alarm, CD player, beige interior, white exterior. GCC spec automatic, 16 inch wheels, ABS, USB, beige interior, white exterior. GCC spec, white 4 cylinder hatchback with beige interior. It has air conditioning and USB. GCC spec Toyota with USB, 15″ wheels and CD player. Price reduced! GCC spec 2016 Toyota with Airbags (front and side), 14″ wheels and Power locks. Price reduced! Reduced price! Black Toyota Yaris 1.5 from 2016 with black interior. 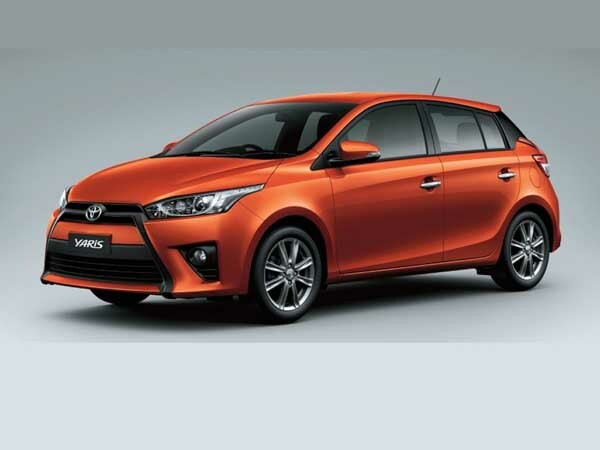 2015 Toyota Yaris with Power windows, 14″ wheels and USB. Price reduced! White 2016 4 cylinder sedan. Beige interior. It has air conditioning and ABS. 2016 Toyota with power windows, ABS, CD player. White with beige interior. 2014 Toyota Yaris with ABS, 14″ wheels and Power windows. Price reduced! Khalifa - My import Toyota Yaris 1.5 G is the perfect car for Dubai. It’s easy to park, light on the wallet and features in top trim are good. Pros: Fuel consumption and features. Cons: Don’t get near a truck at high speed. Mohammed - It’s very easy to find a second-hand Toyota Yaris LE in Dubai. Cheap to buy and have excellent fuel economy, after seeing the 2015 models appear on the roads the old ones look dull. Pros: Fuel efficient and price. Ronnie - Toyota Yaris 1.6 E models are excellent cars to export from the UAE due to their popularity. Great specs and the manual transmission is still available on the sedan models. Sport models are my favourite as the have a different look. Pros: Popular, fuel economy and price. Cons: Speed is not good. With its four-cylinder motor paired with a low engine volume, filling up the tank is a rarity. And with the price of fuel fluctuating up and down faster than a roller coaster, it's good to have a fuel efficient car. It's small for a good reason, parking! Parking spots can be a bit tight especially in malls and petrol stations. It's affordable! Starting from a retail price of AED 51,000, most if not all would call it the perfect starter car. Hailing from Japan, it's practical and reliable. They'll be no waiting around for days and a hefty repair bill with your pre-owned Yaris! Selling a Yaris is easy, everyone is out to get one, and they're just as popular when it comes to the export market. First appearing in 1999, the Yaris moniker took over from the outgoing Starlet (which never made it to GCC). 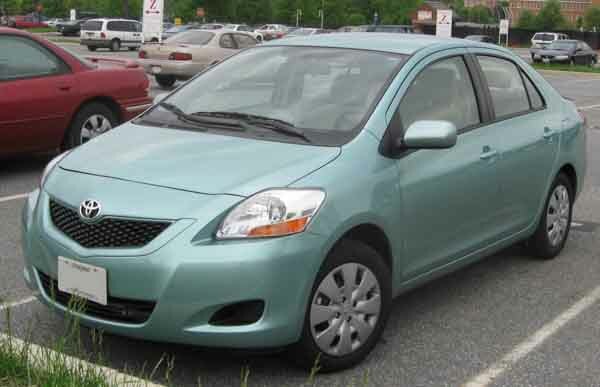 It took GCC resident's seven years to experience the subcompact vehicle, as it took over from the Toyota Echo in 2006. Ever since then, it’s been sited on every street corner, parking lot and even used as a taxi in the Northern Emirates. It's not the only one of its kind. Stiff competition from the Nissan Tiida, Hyundai Accent, Ford Figo and other cars push Toyota to keep the Yaris in check year after year to make it everyone's first choice. 2006 marked the start of an era in the GCC, affordable, reliable and economical cars. Even though they are not the most visually appealing vehicles, it gets the job done. Standard features include 14-inch rims, radio and tape player, two airbags, ABS and tilt adjustable steering wheel. Optional extras such as CD/MP3 player, 15-inch alloys, rear spoiler and foldaway rear seats. Sedan models have identical specs with the exception of a body kit added to the optional list and as standard had different suspension as standard. In 2008, Toyota Yaris sedan models received a mild refresh. Both body styles have either a 1.3 or 1.5-litre four cylinder petrol engine, powered by either a 5-speed manual or 4-speed automatic gearbox powering the front wheels. 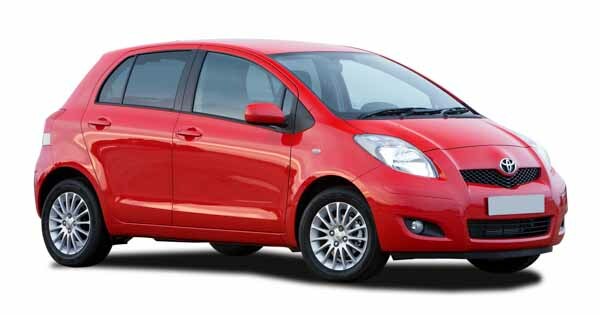 Looking to buy used Toyota Yaris for sale in Dubai, UAE? Prices start at AED 13,500. Entering its second generation, after a six-year run, the Toyota Yaris hatchback receives a refresh all around including a more pointed front end and redesigned rear lights. Standard features receive a major overhaul, now with power windows, CD player and media inputs. Additional features include rear spoiler, foldaway rear seats, Bluetooth, 15-inch rims and a leather wrapped steering wheel. Engine displacements and cylinders remain the same as does the drivetrain. However, the manual transmission is unavailable in hatchback models but still appear in sedan models. 2014 sedan models received a massive refresh with every angle of the vehicle being redesigned and are available in five trim level; Yaris S SE 1.3, SE 1.5, SE+ and Sport. Base models have power steering, manual windows, fabric seats and radio tuner with media inputs. SE models get automatic windows and central locking. SE + trims have 15-inch rims, automatic a/c, keyless go and an upgraded sound system. Sport trims have a leather wrapped steering wheel, “sport” seats and slightly different trims. Safety options include ABS, brake assist, driver and passenger airbags and electronic brake force distribution. Engines stay the same with only the 1.3-litre model paired with a manual transmission, and new exterior colour is available. 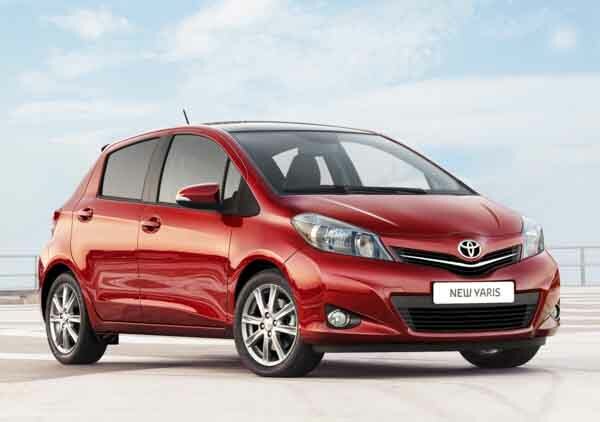 Prices for Toyota Yaris models in this generation start from AED 19,000. After the sedan received a major haul, 2015 hatchback receives a major overhaul for a fresh look to bring it into the new generation. Everything the sedan received in 2014, the hatchback did as well. TRD options are available adding lowered suspension, trademark rims and body kits. Rear parking sensors are added to the additional list. Engines and transmissions remain identical for another few years.